Breeze works as an anemometer, just using your pinwheel! Average wind speed measuring mode with real time chart, wind direction display and simple calibration. All you need: a mobile phone, a plastic pinwheel and 2 steel paperclips. The typical wind range is 1-8 m/s: the full scale is limited by the pinwheel structure. Average wind speed measuring, sharing (for printing, editing and sending Email/SMS), metric units (m/s, km/h), real time chart, wind direction display, simple and advanced calibration. Breeze relies on the compass sensor. To achieve the best results consider the following: use steel paperclips (33 mm) and place them on two opposite blades of your pinwheel and the match it with the app icon (see the pictures of how to use the app and place the pinwheel in the user guide). Viz Meter can measure the outdoor visibility (in meters) just using your smartphone camera! Viz is a measuring instrument, it is not just a data collection of monitoring stations. You can measure the visibility in different environment conditions (fog, mist, haze). This is an EXPERIMENTAL app. Feel free to contact us for any suggestion or issue. Flame Analyzer can analyze the flame (fuel, temperature, quality) of any device just using your camera! AgroidPro measures distances, perimeters, areas and position dispersion (metric units). Measure your outdoor areas such as lands, estate or fields. Measure distances such as fences, paths or vineyards. Remember that GPS is not suitable for indoor measurements!! Saving/Loading (local SD), Sharing (for printing, editing and sending Email/SMS), Satellite Map display (with GPS points/vertices/expected value/DRMS), metric and imperial units (m, km, feet, yards, miles, ha, acres, m2, km2, ft2, yd2, mi2), 3 types of maps (App Google Maps, Web Google Maps, OSM street maps), high resolution picture linking to survey points, miniatures of survey pictures on the map (App Google Maps), Average GPS (random error reduction), Position dispersion (GPS error analysis), Fine positioning of markers on Google/OSM maps. Agroid relies on GPS data. To achieve the best results consider the following: GPS Receiver precision (automatic check, 10 m precision default), a clear view of the sky with no obstructions from about 5 deg. elevation and up (check the GPS signal dispersion with the Position dispersion function) and least but not last use the Average GPS and Fine Positioning functions to improve accuracy! Agroid measures distances, perimeters and areas (metric units). Measure your outdoor areas such as lands, estate, or fields. Measure distances such as fences, paths or vineyards. Remember that GPS is not suitable for indoor measurements!! Saving/Loading (local SD), Sharing (for printing, editing and sending Email/SMS), Satellite Map display (with GPS points/vertices), Fine positioning of markers on Google/OSM maps. Agroid relies on GPS data. To achieve the best results consider the following: GPS Receiver precision (automatic check, 10 m precision default), a clear view of the sky with no obstructions from about 5 deg. elevation and up, and least but not last use the Fine Positioning functions to improve accuracy! 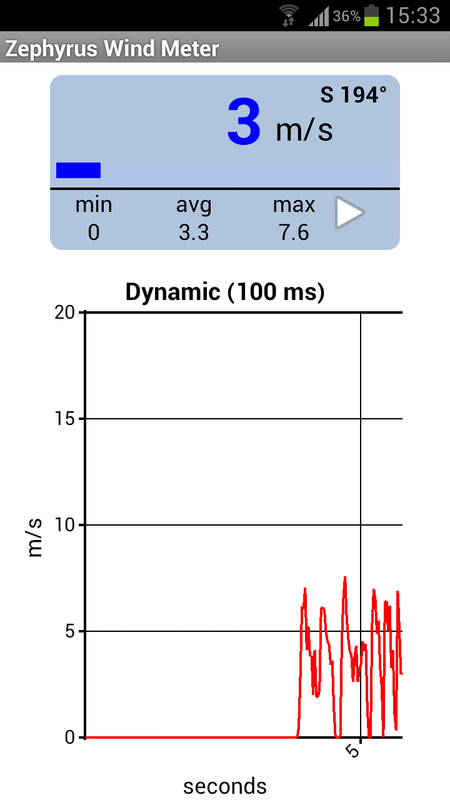 This application brings the functionalities of a Sound Level Meter (SLM) and a Real Time Spectrum Analyzer (RTA) to your phone.. Suitable for ambient (background) and traffic (TNI) noise analysis. Calibration (only the first time): the default calibration values are suitable for most smart phones. Some mobiles are automatically calibrated in the first installation phase (Samsung GT-I9000,GT-9300, GT-S5570). For details see the calibration section of the user manual. 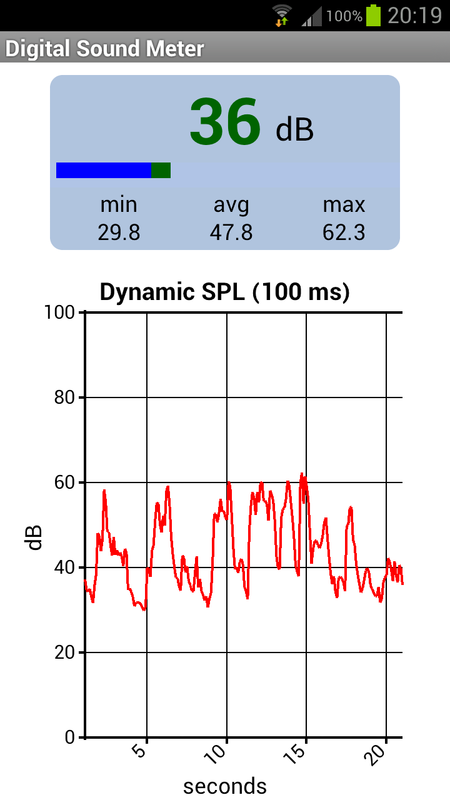 This application brings the functionalities of a Sound Level Meter (SLM). This application brings the functionalities of an Anemometer (Wind Speed Meter) and of a Wind Spectrum Analyzer (RTA) to your phone, just using your microphone!